At around 12:30pm December 19th, 2016, the Israeli Occupation Forces blocked the road leading to Tubas and the north of the Jordan Valley for around two hours. 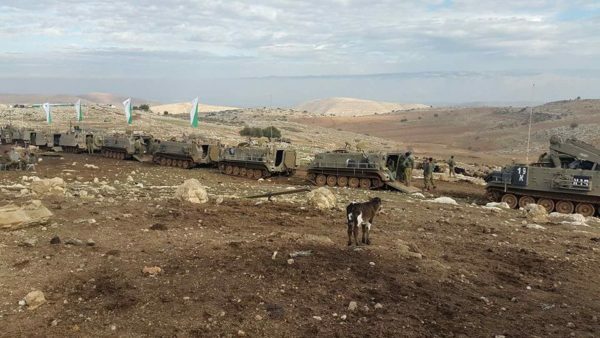 Dozens of Palestinians farmers and civilians had to wait for an Israeli military exercise to conclude before being able to continue their way. An Israeli soldier blocks and guards the road while Palestinians are waiting for it to open. 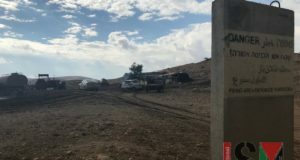 From the roadblock, the location of the military training could not be seen, but Jordan Valley Solidarity (JVS) received a call from a resident of the community of Khirbet Yarza saying that the exercise was actually happening in the fields of their community, 20 meters in front of their houses. 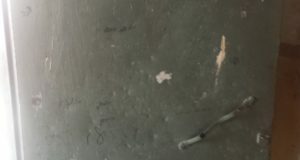 The military were also on the land of two other communities, Hamamat Al-maleh and Ras Al-Akhmar , only a few kilometers away. Around 20 tanks, 2 bulldozers, 5 military trucks, and 10 jeeps carrying soldiers took part in this illegal military exercise. The tanks and bulldozers seriously damaged the farmers land including breaking the irrigation pipes that were put in the ground. 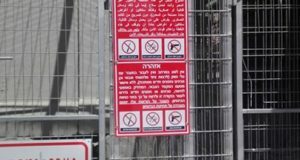 The residents also told us that the Israeli Military didn’t give them any advance notice regarding the time and the location for their operation. Therefore the Palestinians were stranded inside their houses for the whole military exercise period, as they never had the time to evacuate. No one has been injured but the residents were extremely scared of what could have happen to them and their livestock. At the same time, Palestinians stopped at the roadblock could only see tanks being carried away by huge lorry to an unclear area. While waiting, they could hear large explosions coming from the other side of the hills, making them jumpy, nervous and anxious. This part of the Jordan Valley is in Area C (under Israeli control) and was declared by Israeli Forces a “closed military zone”, meaning that it is forbidden for Palestinian to walk around those lands. Cars riding on the adjacent road cannot stop and if they do, the drivers risk being arrested and their car confiscated. There are military observation tours all around the Jordan Valley, consequently the arrest and confiscation are a real threat. The only reason for Palestinians to stop their cars is a military roadblock. On that day, not only farmers and drivers had their daily activity seriously affected but also the children attending school. 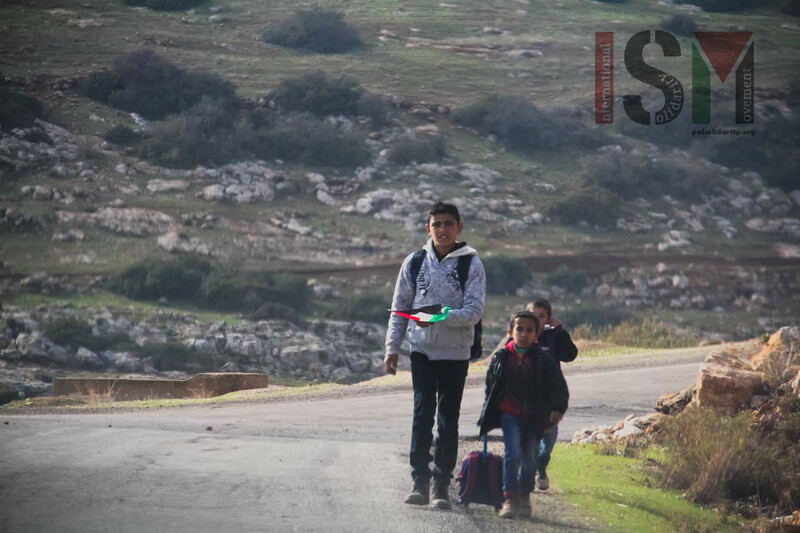 The children from villages in this part of Area C must go to Tubas to attend school as there are none in their village due to restrictions imposed by Israel. The students are therefore bussed everyday to Tubas. But today, at the end of their class, they had to walk their way back home as the bus was stopped at the roadblock and could not get through to pick them up. Most of the children had to walk in that frightening environment for seven to eight kilometers in order to reach their home. Palestinians children walking back home from Tubas. 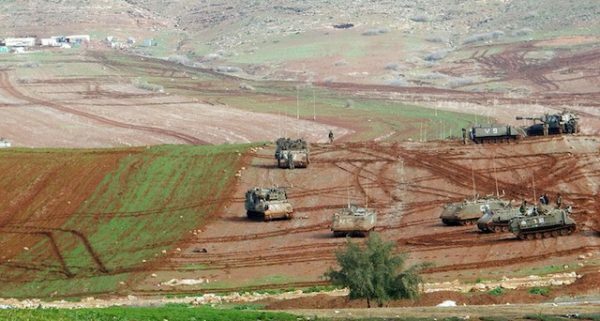 The Israeli Occupation Forces have conducted illegal military exercises around the Jordan Valley for many years. 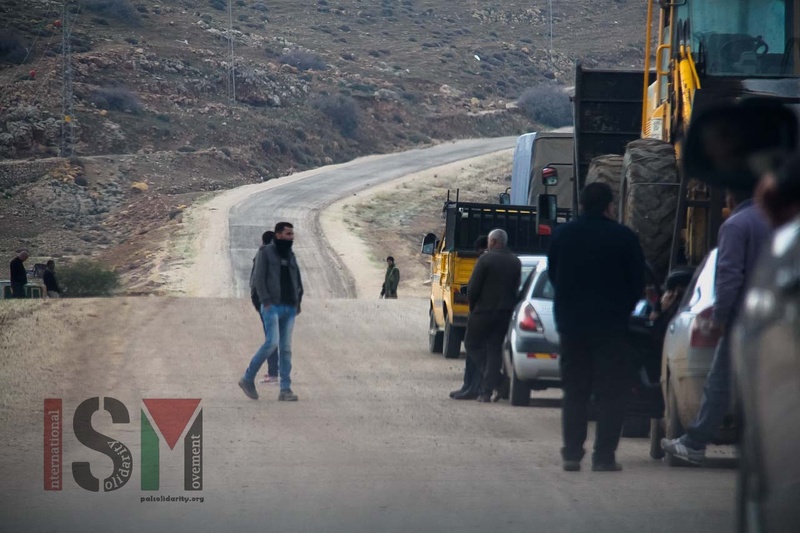 Not only blocking roads at any other moment but also forcing villagers to evacuate their homes for days while proceeding with their military exercises around and inside the villages. 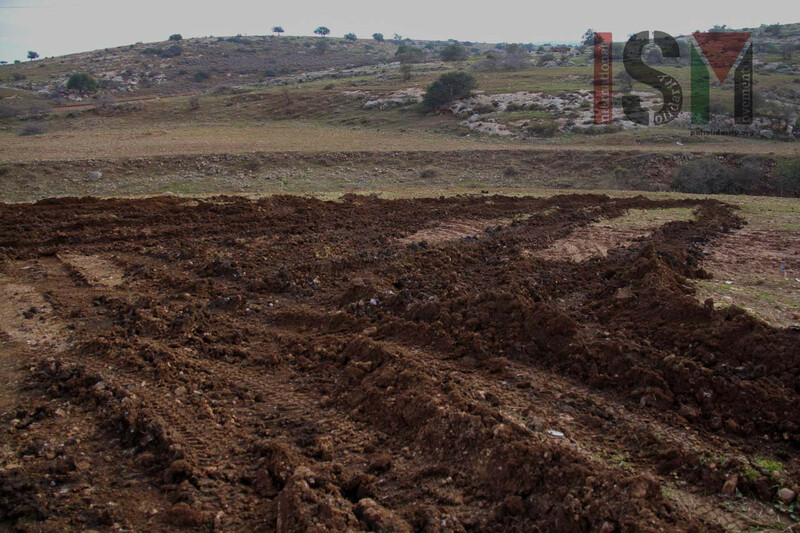 A few months ago, in Yirza, Israeli bulldozers arrived in the village, destroying the connection of the irrigation pipes. 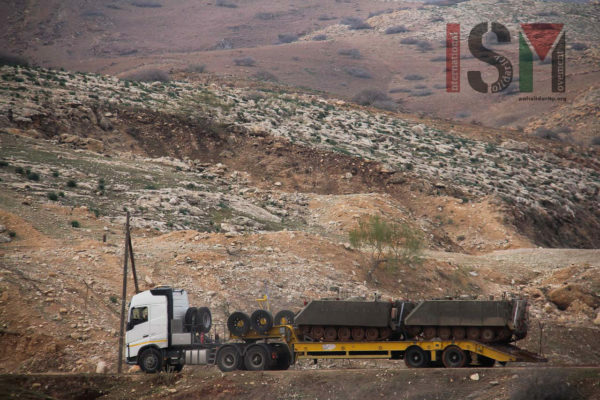 The residents repaired the damaged connection but, once again, Israeli military tanks drove around their fields, passing on top of the pipes and destroying them, again. 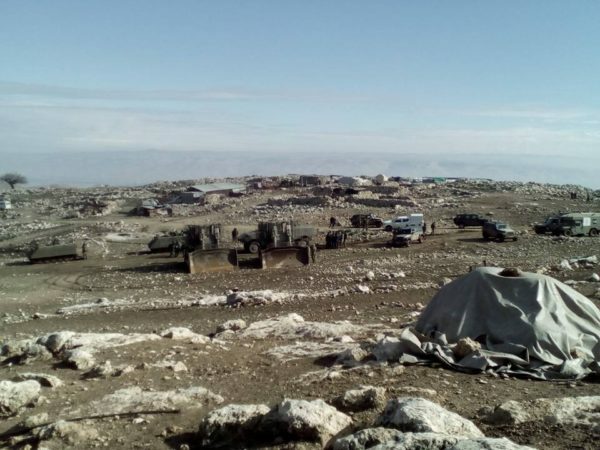 Over the last few years, citizens all around the Jordan Valley have seen an increase in the confiscation of their land by Israeli Forces. 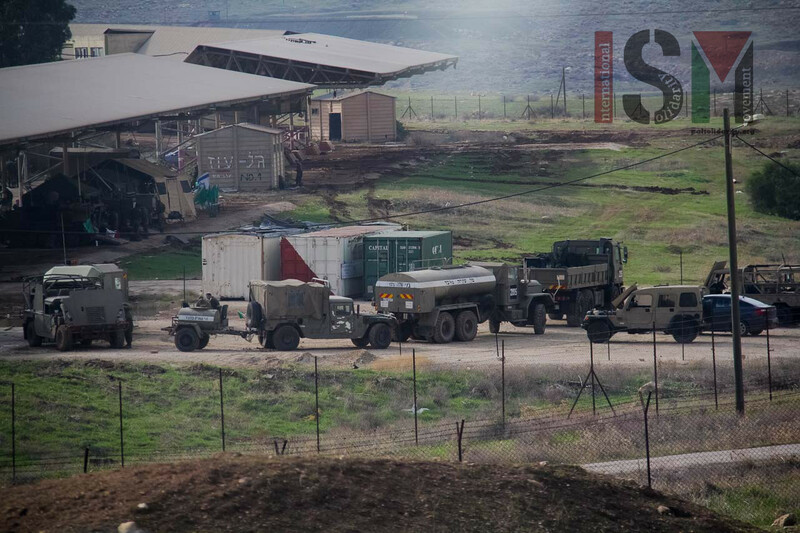 These large patches of land are now used by the Israeli Forces as bases and for training exercises. All along the road at the edge of these lands, we can now see concrete blocks indicating the closed-military-zone, which forbids anyone to trespass on these areas. Therefore, shepherds and farmers have been deprived of their only means to provide for their families. Other lots were given to Israeli settlers for agricultural development, which only benefit Israeli economy. Despite the continuous demonstration of control and power by Israel over Palestine, the resilience of the population from the Jordan Valley remains intact.